The years that followed were the most disastrous that ever befell the northern border. Continual Scottish invasions forced the men of Tynedale and Redesdale from their allegiance to England. Scarce a soul, in the words of a monkish chronicler, dared to live in Northumberland, unless it was near to some castle or walled town. For fifteen years the county remained desolate, without human life, abandoned to beasts of prey. Adam de Swinburne, sheriff of Northumberland in 1317, ventured to inform his sovereign as to the state of the marches, and did not choose his words too carefully, but spoke to the point. Edward II laid him under arrest. So at least ran the tale told by Sir Thomas Gray of Wark. accepted him as their leader; the Mauduits of Eshot, and many other of the smaller gentry of the county, discredited officials, condemned felons and Scottish adventurers, flocked to his standard. News of an act of rare audacity suddenly startled the kingdom, and came as the first intimation that insurrection had broken out. Edward II had lately forced the convent of Durham to accept as bishop his wife's relation, the courtly Lewis de Beaumont. He was of good birth, a St. Albans historian observed, but by no means well-read, and as is the case with so many Frenchmen, he was lame in both feet. If the Pope had seen him, he would never have made him bishop. Beaumont timed his first visit to his new see to coincide with the journey northwards of two Roman cardinals, Gauselin and Luca di San Flisco, who had been sent to England with legatine powers for the negotiation of a peace between Edward II and Robert Bruce. The presence of two papal legates was intended to enhance the splendour of the new bishops enthronement, which had been fixed for Sunday, September 4th, that being the great Durham festival commemorative of the Translation of St. Cuthbert. On Tuesday, August 31st, the bishop, with his brother, Henry de Beaumont, constable of Norham castle, and the two cardinals and all their train, reached Darlington, where they spent the night. There they received a message from Geoffrey de Burdon, prior of Durham, bidding them be on their guard against ambush; but the bishop and his brother made light of the possibility of attack, saying that the king of Scots dare not, and this was a trick on the part of the prior to interpose obstacles to the coming consecration. So early next morning, on Wednesday, September 1st, they set out along the road to Durham. 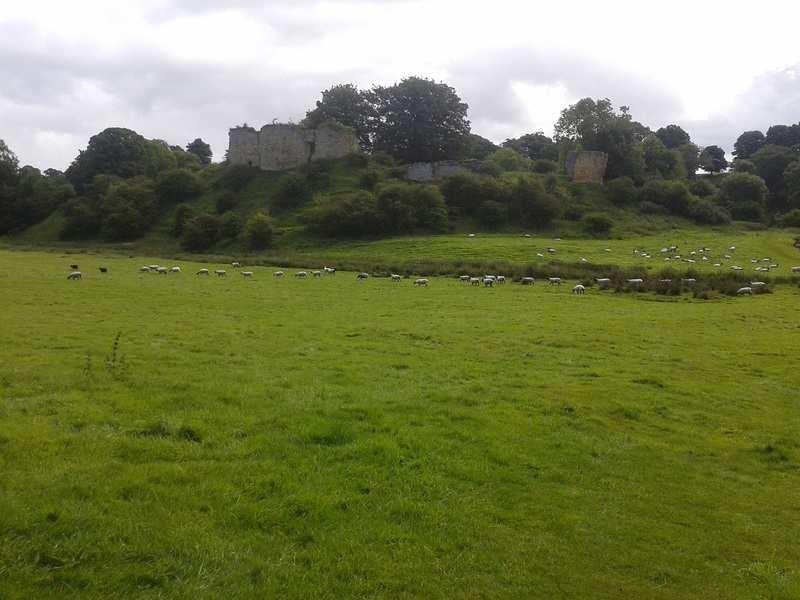 They had reached a point near Rushyford, between Woodham and Ferryhill, and in half an hour Beaumont might expect to get his first view of the towers of his cathedral. Suddenly an armed band broke from a neighbouring wood, headed by Middleton and Walter de Selby [The township of Seghill had passed into the Selby family "by marriage or otherwise" sometime between 1221 and 1242. He received a knighthood in 1278. 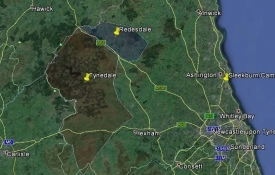 In 1304 Selby had married a Delaval and received the estate of Biddlestone in North Northumberland. It remains the family seat to this day. When the rising eventually failed Selby's lands were seized by the Crown and given to Monboucher of Horton, whos castle he had held by force for several weeks but were restored to Selby on Monboucher's death]. Their business was with the bishop and not with the cardinals, but some resistance was offered, and the whole company found themselves at the mercy of these freebooters. Bags and boxes were rifled. No personal violence was offered to the cardinals; they were allowed to continue their journey to Durham on foot, leaving horses and baggage in the hands of their captors; but Lewis de Beaumont and his brother Henry were carried off to Mitford castle and there held to ransom. The Translation of St. Cuthbert drew nearer, arrived, and passed; and the bishop-elect was still a prisoner; and the Italian cardinals poured their wrath over the loss of their property upon the prior of Durham. eyes fixed religiously on the ground, and failed to see the intruders whom they dared not eject. Edward II was then at Nottingham. He at once hurried to York, where, on September 8th, he held a council and issued orders for a general muster of forces, to be held on the 19th at that place and at Northallerton. Two days later he sent the Pope a full account of the outrage, informing him of the measures taken for the punishment of the malefactors. Prompt action was needed to restore popular confidence in the strength of the government, and on the 20th it was thought wise to issue a public proclamation to the effect that such action was being taken. Prior Burdon was left with the ungrateful task of collecting so much of the cardinals property as could be recovered. 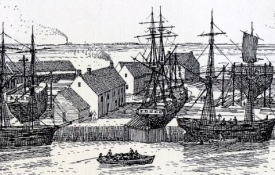 He indeed found seven shillings in the dusty recesses of a little purse, and carefully forwarded them to York, but nothing else had been left that was of sufficient value to cover the cost of carriage. Cleveland in the south felt the ravages of Middleton and the bandits or shavaldores who owned his leadership. By the payment of large sums in blackmail the county palatine of Durham obtained a costly peace, and a ransom suitable to his dignity released Bishop Beaumont from Mitford castle. Middleton neither lacked money nor supporters. Thomas, earl of Lancaster, who might have crushed the rebellion, preferred to connive at it, and commenced a private war in the West Riding against Earl Warrenne. The Scots threatened Berwick and Wark. Middleton attempted to gain Tynemouth. Bamburgh was in the custody of William de Felton, who had been guardian to Middleton and had trained him to arms. Yet the loyalty of the Feltons remained undoubted. One of the kings first acts on the outbreak of rebellion had been to put John de Felton in charge of the young Henry de Percys castle of Alnwick. 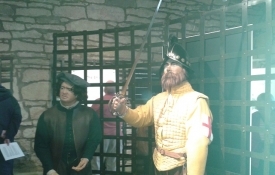 It was a serious blow to the royalist interest when, in the latter part of November, John de Middleton, brother of the rebel leader, succeeded in capturing Felton, and released him only upon his engaging to surrender Alnwick upon a certain date. Before the day came, a bold stratagem had entirely changed the position of affairs. Middletons foster brother, the younger William de Felton, with Thomas de Heton, Robert de Horncliff and others, opened negotiations for ransoming the prisoners in Mitford castle. Part of the money had been paid, and in the third week of December Felton and his friends came to make their final reckoning. Middleton awaited them in the castle; his men had gone forth on a foray. The young men told him that they had secreted their money in the village and asked leave to go out and fetch it. Then, on reaching the castle gates, they turned on the warders, slew them, and gave admittance to a party of soldiers who were waiting outside. Middleton and his brother were surprised and overpowered, loaded with chains, and carried off to Newcastle, where the town rabble greeted them according to their kind. 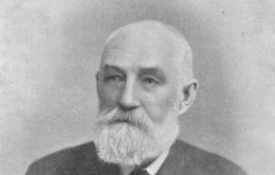 A few days later Gilbert de Middleton was placed on a vessel in the port of Tyne. At first the wind prevented a passage over the bar, and in the interval, Middleton humbled himself in the priory church of Tynemouth, where he sought pardon for the wrongs he had done to St. Oswin and the monks. Then the wind shifted to the north. The ship set sail, but such a storm blew that the mariners put in at Grimsby, whence Middleton was brought on horseback to the Tower of London. Walter de Selby still held out with a remnant at Horton Castle, in the parish of Blyth; otherwise the rebellion ended with the capture of its leader. On January 6th, 1318, commissions were issued for the arrest of rebels in Northumberland and Yorkshire. Two days later the Northumbrian commissioners were instructed to receive into the kings peace all those who rose in insurrection against him in the county of Northumberland and the neighbouring parts, and to receive all who, through want of victuals or by force or fear, were in insurrection and who wished to come into the kings grace. No mercy could be shown to the man who had kidnapped a prince bishop and played Robin Hood with the Popes cardinals. It was January 21st when Middleton reached London. On Thursday the 26th he was brought before the king at Westminster to have sentence of death passed upon him. That same day he was dragged at horses tails to his execution; was hanged, drawn, and quartered. His head was set up in the city, and the poor remains of his body were exposed to view in Newcastle, York, Bristol, and Dover. His brother, John de Middleton, was likewise attained and met the same fate of hanging and drawing. So, wrote a monastic chronicler, ended a year that was barren of every crop but misery, when Northumberland, wasted by the Scots and reduced to poverty by its own outlaws, lay between the hammer and the anvil. Ransoms and plunder had swelled Gilbert de Middletons personal estate to the large sum of £2,615 2s. 4d. Besides a toft and ten acres of land in Caldstrother, worth 5s. 4d., he held the manor of Briardean and the moiety of the village of Hartley.